The office of the Sacred Congregation of Divine worship states that, “From ancient times, the Church has had the custom of celebrating the liturgy of the hours each day. In this way, the Church fulfills the Lord’s precept to pray without ceasing, at once offering its praise to God the Father and interceding for the salvation of the world.” As we pray the divine office, we are united with the whole Church in thanksgiving and praise. 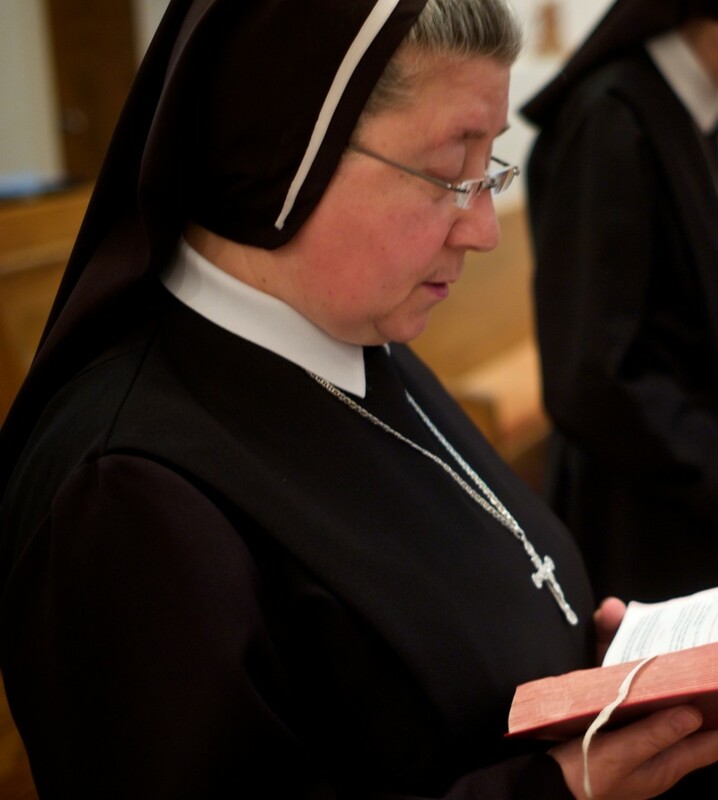 For the Sisters of Our Lady of Sorrows, the communal praying of the Liturgy of Hours is central to our life. In this prayer, God is present to our community in a very unique and special way. This divine praise is continued uninterruptedly throughout the day through a spirit of prayer which enables us to live in the constant search for and the faithful accomplishment of God’s will, his service and his glory. The Divine Office prolongs throughout the day the praise and thanksgiving of the Eucharistic Sacrifice. The Sisters of Our Lady of Sorrows, pray Lauds, Vespers, and Compline in common. This spirit of prayer enables us to live in the constant search for and the faithful accomplishment of God’s will, his service and his glory.